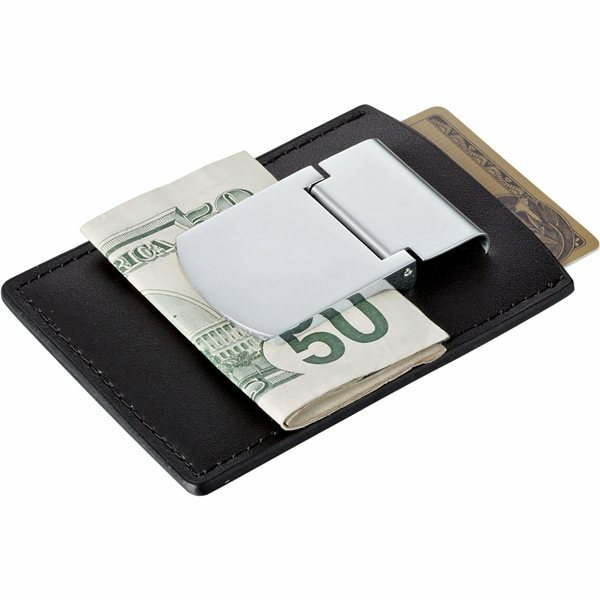 Polished metal clip holds loose bills. Pocket holds cards and notes. the product came out great.I commend AnyPromo for doing a great job and getting them out by our deadline. The product turned out fantastic. Imprint design is excellent! Precisely what I had in mind. they were Mother's Day gifts for the women at my church. Everybody liked them. Our logo design looked great and the quality from the product was much better than I anticpated. Great item in a great cost. Well-made with good materials. Everybody is really happy with this item.